Gloria Glantz remembers German soldiers coming in the middle of the night and shining flashlights in her face as they looked for hidden Jews. Her Matka (mother), a Polish woman who took her in when she was three and taught her how to address the Blessed Mother, told her, “Show the soldiers how you say your prayers.” She must have been convincing, because the soldiers left. Annie Bleiberg remembers jumping from a moving train on the way to certain death, then trying to pass as a gentile with help from Christian friends. But a former classmate betrayed her. She was sent to Auschwitz where she was tattooed with a number—38330, still on her forearm—and a triangle that marked her as a criminal for attempting to escape. She was liberated two years later. Glantz now lives in Port Washington, Reich in Smithtown and Bleiberg in Woodbury. They are among a small group of Holocaust survivors who regularly tell their stories in schools, churches, synagogues and other locations so people won’t forget. And so it never happens again. The Holocaust began in Germany with a boycott of Jewish businesses, the exclusion of Jews from many professions and other restrictions often accompanied by beatings, public humiliations and violence carried out or encouraged by the Nazi party, which came into power in 1933. The Nazi plan grew into a policy of extermination that led to the murders of six million Jews, including more than one million children, mostly in extermination camps. Yom HaShoah, or Holocaust Remembrance Day, falls on April 28th this year but is being observed with programs throughout the month and beyond. “The lessons of the Holocaust are still present in 2014 on Long Island,” said Beth E. Lilach, senior director of education and community affairs at the Holocaust Memorial and Tolerance Center in Glen Cove. “We have issues going on in our backyard that are similar to what happened in Germany, such as hate crimes and bias that lead to murder. We have kids who are committing suicide because of bullying, which succeeds because bystanders don’t take action.” The testimony of survivors is by far the most powerful Holocaust remembrance. These are but three of them. Born in Poland in 1939, Gloria Glantz was the youngest of Esther and Mendl’s three children. They were owners of a leather factory. “In 1942, my mother took me by the hand and walked me to a little farmhouse at the end of town. My mother said I had to stay there. She shook her head and walked away. I was hysterical.” Fortunately, the woman in whose care she was left, Marianna Kowalczyk, was very kind to her. She was passed off as the illegitimate child of Marianna’s daughter. 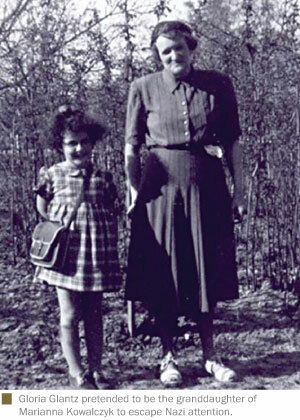 By learning Christian prayers and songs, the dark curly-haired little girl managed to fool the Nazis, though she looked nothing like her blond, blue-eyed supposed mother. Glantz’s ordeal didn’t end with the war. First came her wrenching departure from Marianna, whom she called Matka. Later she learned that her entire family had perished. She spent a year in an orphanage in Sweden and a few years in Montreal before arriving in New York to be adopted by an aunt. Several years ago, Glantz learned that Marianna and her husband Michal had also sheltered other Jews. Last year she had had them recognized posthumously by Yad Vashem, the Holocaust memorial center in Israel, as “Righteous Among the Nations”—an honor for courageous non-Jews. Werner Reich started speaking out 22 years ago after retiring as an engineer. His father had been an engineer in Berlin, but was fired in 1933 because he was Jewish. The family left for Yugoslavia, where his father died in 1940; Werner was 13. His mother hid him with people in the resistance movement, an unlucky spot. “One morning there was a knock at the door and six Gestapo men came in and arrested me.” Later they “beat the living daylights out of me,” he said. His horrific experiences continued through prisons, concentration camps—Terezin, Birkenau, Auschwitz and, after a long death march, Mauthausen. 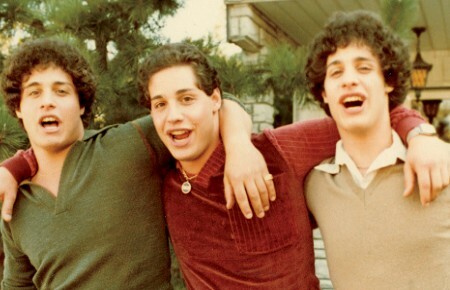 “Then things got really bad,” said Reich, now 86 and given to sardonic humor. The only food was “tables full of moldy bread. 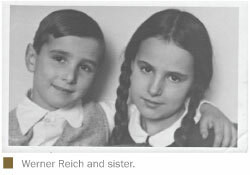 I slept next to a dead man for three days just to get his ration.” After liberation, Reich met and married his wife Eva and came to America. When the first of his four grandchildren was born, he broadened his talks to other areas of persecution, bullying and the need for people to take action. Prominently displayed in Annie Bleiberg’s second-floor apartment, reached by a stairway that the 93-year-old navigates with ease, is a collage she made. It depicts a dream she had during an especially dark hour of the Holocaust, when she thought she might have preferred death. Her deceased grandfather, Michael, wagged his finger at her and commanded her to stay alive. “Thanks to his divine intervention, I survived,” she said. A native of Poland, she and her parents and sister were shuttled to various ghettos. When she was in her early 20s, they were put in an open cattle car on a train to the Belzec extermination camp. They decided to jump. Her father went first. A boy let her go ahead of him and her mother gave her a boost. “I can still feel her hands on my behind.” She landed “like a lump,” then heard a sharp crack. “That boy was shot.” She never saw her mother or sister again. After weeks of hiding, she almost made it out with false papers—only to be recognized and sent to a jail and then to Auschwitz. 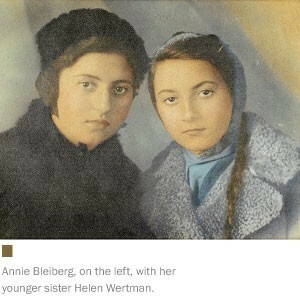 After being liberated in May 1945, she returned to Poland where she found her father and a former neighbor, David Bleiberg. She and Bleiberg married, had a daughter and came to New York in 1950. She worked as a comptroller and became a grandmother of three and great-grandmother of two. 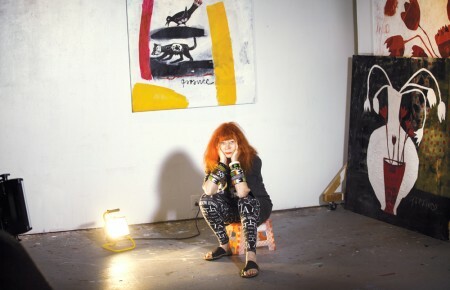 Although the advice she was given—and followed—when she first arrived in the United States was, “Stop talking. You’re in America now. Just forget it,” she later changed her mind. “I was saved for a reason. I decided I would speak.” Even though she has stopped driving herself, she still visits schools, colleges, women’s groups and other community organizations regularly. She has also returned to Poland to meet with two of the people who helped her survive and who are also honored at Yad Vashem. Holocaust remembrances remain strong on Long Island. The Holocaust Memorial & Tolerance Center of Nassau County in Glen Cove offers exhibitions, programs and courses for police officers and others focusing on lessons to be learned. In addition to an April 29th Yom HaShoah commemoration, the center has organized a special event for June 8th at Hofstra University that will honor survivors, liberators and their descendants. A day-long conference with panels, films, exhibits and many speakers, it will include people and organizations from around the Northeast to educate the public about the Holocaust. The Suffolk Center on the Holocaust, Diversity & Human Understanding, based at Suffolk County Community College in Selden, also addresses related areas including slavery and public recognition for human rights advocates. “The legacy of the Holocaust is celebrated with good deeds that people are doing now,” said Steven Schrier, executive director of the center. Its Yom HaShoah program will be on May 7th.